As a child I found myself playing on the center of God’s stage. From some hidden celestial vantage point, so I thought, I was being scrutinized and watched by the Supreme Creator, perhaps almost as narrowly as I, as a medical student with a microscope, would one day scrutinize the cells growing in a Petri dish. But that was long ago, before I had seen micrographs of DNA, or the tracks of matter and antimatter created in a bubble chamber by the collision of high-energy particles. But as I became engaged upon the task of squeezing 300 years of scientific achievement into a few convolutions of brain tissue, it became increasingly clear —in my new sophistication—that there was no need for a creator. After four decades of scientific study, I have learned that there are natural explanations for the evolution of the stars, planets, and even life. There are hundreds of textbooks and scientific journals that describe in detail how hadrons and leptons assemble into atoms and molecules, and how they in turn assemble into ants, musicians, and football players. As a scientist, I was taught that an outside creator isn’t needed to complete this mechanical explanation of life and the universe. “What,” wrote Thomas Hobbes, the English philosopher “is the heart but a spring, and the nerves but so many strings, and the joints but so many wheels, giving motion to the whole body.” Indeed, biologists have discovered that the entire human body is made up of trillions of tiny machines – called cells. These are made up of smaller components, such as the ribosomes, mitochondria, and Golgi bodies, which in turn are made up of carbohydrates, lipids, and proteins. As the wheels get smaller and smaller – and the cogs spin faster and faster – it all dissolves away into a swarm of energy. Was there a creator who just said “Let there be light” (or more scientifically speaking “Let there be electromagnetic energy”) 13.6 billion years ago? Of course, he, she, or it had to also worry about all the other details, such as the laws, forces, and constants of the universe that had to be just right, or else you and I – and all the stars and galaxies – wouldn’t exist. If the strong nuclear force were decreased a couple of percent, atomic nuclei wouldn’t hold together, and plain-vanilla hydrogen would be the only kind of atom in the universe. Oops, no carbon or oxygen! And then there’s the big question I had as a young boy: If, indeed, God made the world, then who made God? But biocentrism suggests that this is a humanly-created dilemma – that the primacy of consciousness, which features in the work of Descartes, Kant, Leibniz, Berkeley, Schopenhauer, and Bergson, supports the claim that what we call space and time are forms of animal sense intuition, rather than physical objects. They are the tools our mind uses to put everything together. Our consciousness animates reality much like a phonograph. Listening to it doesn’t alter the record, and depending on where the needle is placed, you hear a certain piece of music. This is what we call “now.” In reality, there is no before or after. All nows, past, present and future, always have existed and will always exist, even though we can only listen to the songs one by one. Indeed, it’s us, the observer, who create space and time (which is why, in a long series of experiments, they are relative to the observer). The universe is simply the spatio-temporal logic of your existence – that is, the way all the pieces, your cells, the proteins, and all the other wheels and cogs fit together. 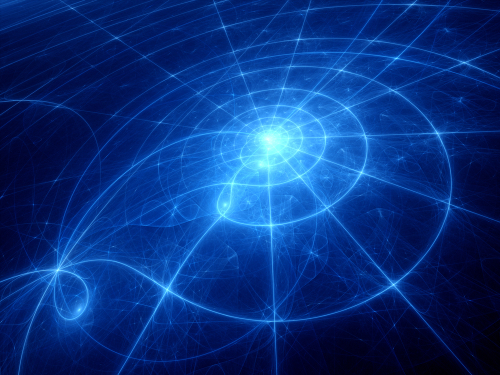 Space and time are how we make sense of it all. But they represent only one of many possible information systems, and it’s just conceivable that some of them require the influence of an outside entity. 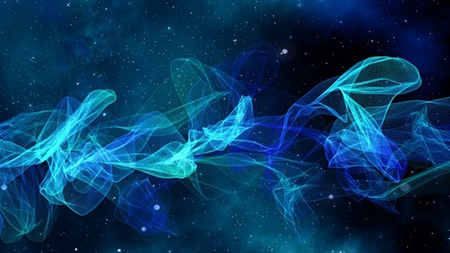 In fact, in the lapse of eternity, advanced life forms have almost certainly figured out how to change these algorithms so that their consciousness moves beyond the dimensions we find ourselves. Alas! It appears increasingly likely that our universe is not a closed system and that science may not be playing with a full deck. Among other things, the most current data suggests the universe will continue to expand forever and that an extraordinary “inflationary” period has to be artificially added at the beginning to make everything work correctly. And if space and time aren’t things, then what’s really out there? What don’t we see? What don’t we know? “Can you comprehend the marvels of the stars,” asked God “the animals, the infinite wonders of existence? You, a worm that lives a few moments, and dies?” And thus, in their soaring argument, he concedes to Job that the missing piece is with him. 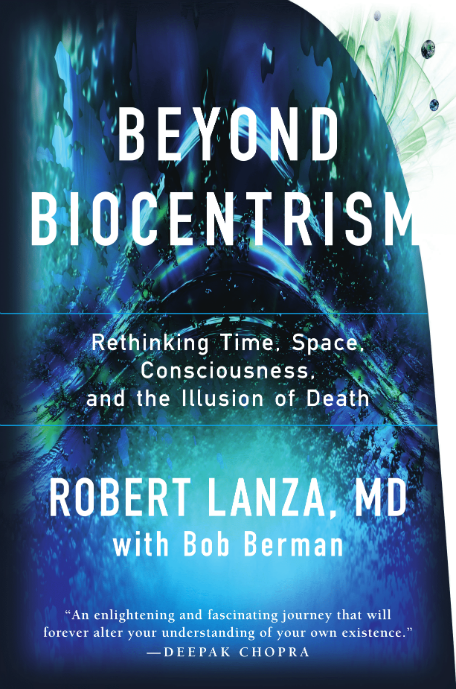 Robert Lanza has published extensively in leading scientific journals. His book “Biocentrism” lays out the scientific argument for his theory of everything.